The Billow pendant has a unique rippled inner lip. 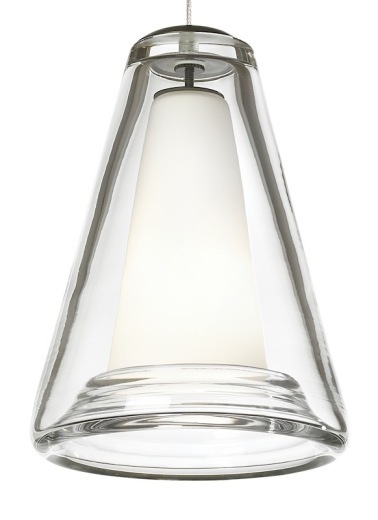 The hand-blown glass is delicate and siimple for a beautiful look. Perfect for kitchens and over islands. Includes low-voltage, 35 watt halogen bi-pin lamp and six feet of field-cuttable cable.